Jiufen's downtown winding streets was used as the model for the Japanese anime Spirited Away. This is a unique dessert found in Jiufen, taro/yam balls in sweet soup. You can choose to have it hot or cold. 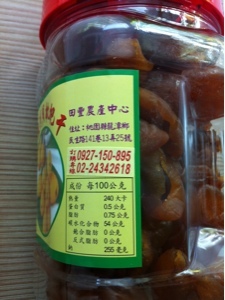 There are several shops selling this dessert but Grandma Lai’s is said to be the original and best one. We got this from oneof the first few stalls as we entered from where 7-11 is. They sell Gingko Nut powder too. 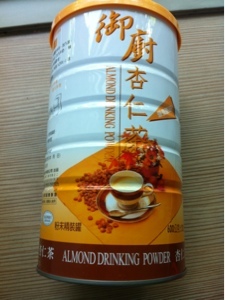 We’re told that if you are having a cough, the almond powder drink should be drunk straight, without sugar added. Not cheap, but this is really good for coughs and throats. 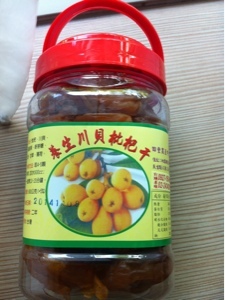 You can eat it straight or boil the dried fruits with water and some salt. There's a very popular restaurant that sells fishballs and is terribly crowded. Looked nice but we did not try it due to the cold and wet weather. You can find this at a number of shops.